Get ready for the ultimate word adventure! An exciting blend of turn-based strategy and crossword role-playing game, World of Words pits you against up to 3 other players for a globe-trotting word experience like no other. EVERYONE LOVES WORLD OF WORDS! 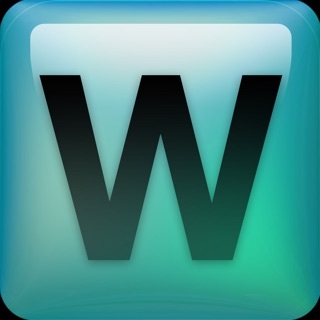 World of Words takes your standard online crossword game and amplifies it with Bombs, Whirlwinds, Snowstorms, and more! Level your character up, unlocking new action tiles and boards. Experience epic four player games, customize your character with unique titles and avatars, or try out Nightmare Mode for an extra challenge! Grab an extra boost anytime by calling in the Reserves! - The Call to Adventure takes you through the countryside and into the busy city streets, where a nuclear bomb decimates everything you know. - Jungle of the Elements brings you into the sweltering jungle, where the elements (and pirates) seek to bring your doom! - The Sands of Time is a vast desert filled with ancient mysteries, ruins and treasures. - The Depths of Winter is a trek to the North Pole in the face of glaciers, blizzards and Yetis. - More worlds will be released every year! It's not the bugs. It's the mileage. The ads are annoying. Was going to subscribe but I don’t know that I will if the ads continue like they are. Good game otherwise. Most fun Scrabble-like game ever! Not just words but you can blow up others word tiles and scenery to unlock bonuses. Super fun. Well thought out. Beautiful graphics.